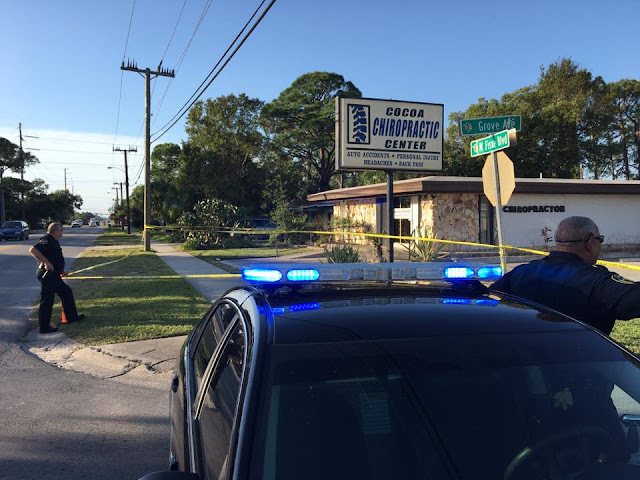 COCOA, Florida - A 31-year-old Brevard County man was shot and killed early Wednesday morning after walking his son to the school bus stop. Witnesses told police that Walter Thomas, Jr. had just walked his son to the bus stop on Fern Street. As he walked back home north on Fiske Boulevard, an unknown suspect began arguing with him and subsequently fired several rounds at the southwest corner of Fiske Boulevard and Grove Street. The suspect was on a bicycle and then fled the area. Thomas, Jr. managed to get to his home nearby the shooting at 1035 Grove Street. Family members called 911 and police and fire rescue arrived on scene. Thomas, Jr. was later pronounced deceased after being transported to the hospital. Photo credit: Cocoa Police Department.